With Easter Sunday approaching, I thought I should present my favorite Easter animal, the lamb! I mean, as much as I find bunnies or little chicks cute, for me nothing compares to the sweetness of the little lamb. So many things come to mind when I think of sheep: The pastoral life depicted in Christopher Marlowe's The Passionate Shepherd to His Love, a new spring cardigan my friend's mom made for me, my grandmother spinning wool, the lost sheep which was found by the Good Shepherd, insomnia and how I have tried to count sheep only to see that it doesn't work, The Silence of the Lambs, humbleness, gentleness and innocence, the Passion of Christ -and of course, the lamb that Greeks traditionally spit-roast to feast with the family on Easter Sunday! 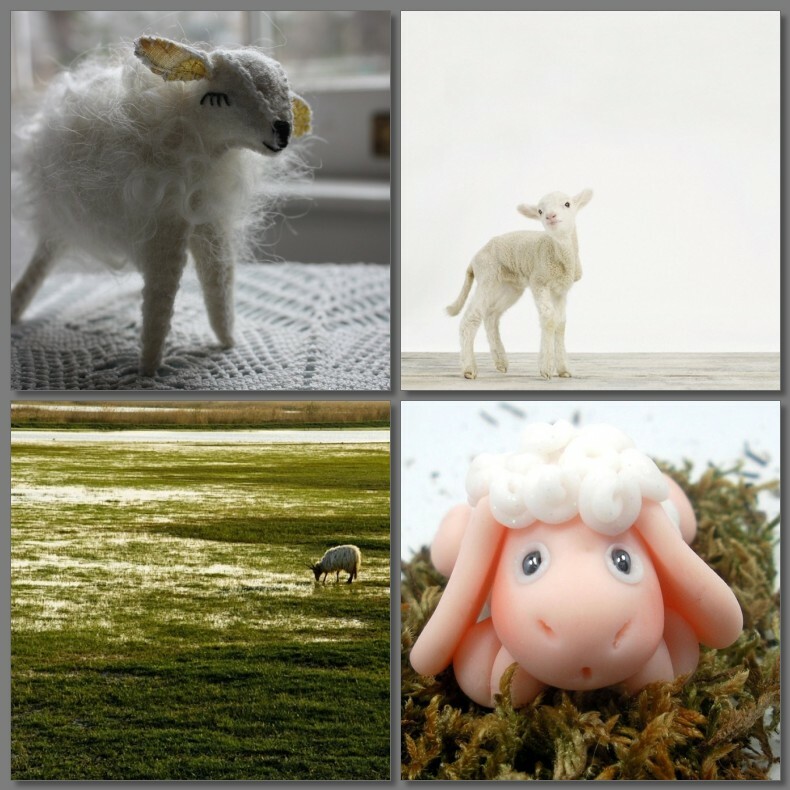 So, what comes to mind when YOU think of sheep? o my stars so sweet !!!!!!! My favorite animal. So cute post! Aren´t they lovely?! Many thanks! This is cuteness overload!!! I'm so happy and honored to find my little guy in such a sweet and adorable collection. Se eyxaristo poly-poly!!! These are so cute, I love heartshapedcreations's little sheep! Happy Easter my dear !